A former Oklahoma pharmacist is seeking a reduction of the life prison sentence he received for shooting a teenage would-be robber to death nine years ago, but legal experts say actions that many consider vigilantism leave little chance the request will be granted. Jerome Ersland claimed he was acting in self-defense in the May 19, 2009, shooting death of 16-year-old Antwun Parker inside his store. But a jury convicted him of first-degree murder and recommended a life-with-parole sentence in a case that launched a nationwide debate over the limits of self-defense. On Monday, Ersland, 66, will receive a rare hearing before the five-member Oklahoma Pardon and Parole Board in his request that his life sentence be commuted. Ersland is not eligible for parole until 2049 and is seeking a less severe sentence in a request for commutation that the board's website says "is intended to correct an unjust or excessive sentence." Gov. Mary Fallin must approve any recommendation from the board to commute a sentence. The chance for either is slim. During a recent 12-month period, the Pardon and Parole Board reviewed 515 commutation applications and recommended only 15. The board's own investigator recommended that Ersland's request be denied in a March 13 report to the board. Prosecutors have said they will also oppose Ersland's commutation request. Ersland's attorney, Kendall Sykes of Oklahoma City, declined comment. Ersland described his life sentence as "an injustice of a monumental proportion." Surveillance video used as key evidence in the case shows two men enter the Reliable Discount Pharmacy where Ersland worked. 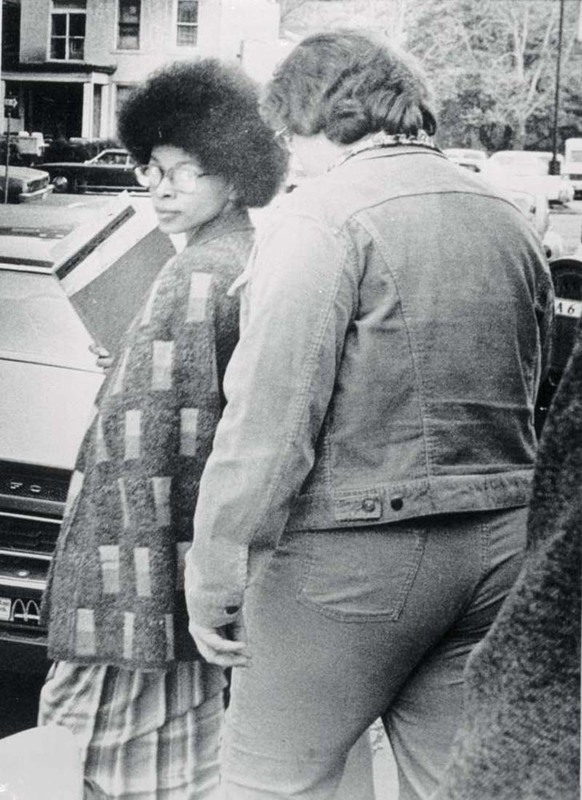 One man points a handgun at Ersland and two women staffers, and Ersland is seen grabbing a handgun from behind a counter and firing it, striking Parker in the head as he tries to put on a ski mask. Parker, who was unarmed, falls to the floor out of view of the camera. Ersland then chases the armed man out of the store. When he returns, Ersland walks behind a counter with his back to Parker, retrieves a second handgun and returns to Parker, standing over him as he fires five more shots into his torso. Medical examiner's ruled that Parker did not die from the initial shot to the head but was killed by the additional gunshot wounds. But criminal law experts said self-defense has limits, particularly in this case, because Parker was unconscious when Ersland fired again. John R. Lott Jr., president of the Alexandria, Virginia-based nonprofit Crime Prevention Research Center, said laws like stand your ground, which Oklahoma adopted in 2006, require that people exercise the judgment and conduct a reasonable person would use. "Once that necessity has dissipated, then the right to self-defense has ended," Henning said. "It's not a continuing right. It ends when the necessity is terminated. He definitely wasn't acting in self-defense." Criminal law professor Peter Henning of Wayne State University law school in Detroit said it is difficult to make a case for a sentence commutations, especially for someone convicted of first-degree murder. "I could certainly see the parole board saying this too early, the crime is still too fresh in everyone's mind," Henning said. "Often you see commutation after a person has served a substantial portion of their term." He said Ersland can make a new commutation request in later years if the board rejects his application. Prosecutors said Ersland was justified in firing the initial shot to Parker's head but crossed the line when he repeatedly shot Parker as he lay unarmed and unconscious. "There's no way you could meet a reasonable person standard," Lott said. A person has a right to defend themselves and others, "but they still have to require a reasonable person defense."